Desert Wings is an RC Club dedicated to radio controlled flight. Club members fly everything from electric park size aircraft to 1/3 scale gas planes, as well as helicopters, jets, multi-rotors, and First Person View aicraft (FPV). 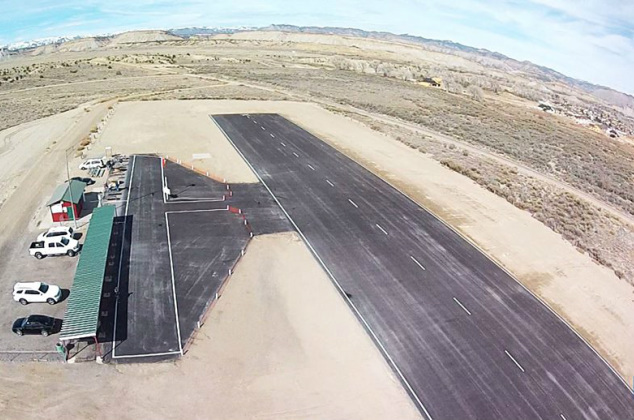 In partnership with Carbon County, Desert Wings maintains a facility near the County Fairgrounds in Price, Utah which includes a 600' X 85' runway, covered and uncovered pit areas with benches, plenty of parking, and power. The runway is plowed in the winter and can be flown nearly year round. Carbon County does request that those using the facility (without an instructor) be current Academy of Model Aeronautics (AMA) members. Membership includes insurance and a safety code which has been adopted at the flying field.